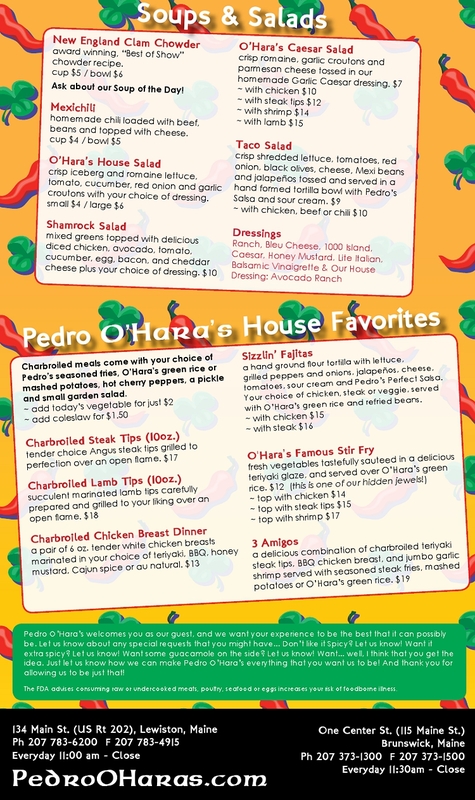 Pedro O’Hara’s in Brunswick Maine is a great spot for American, Irish & Mexican Cuisine. 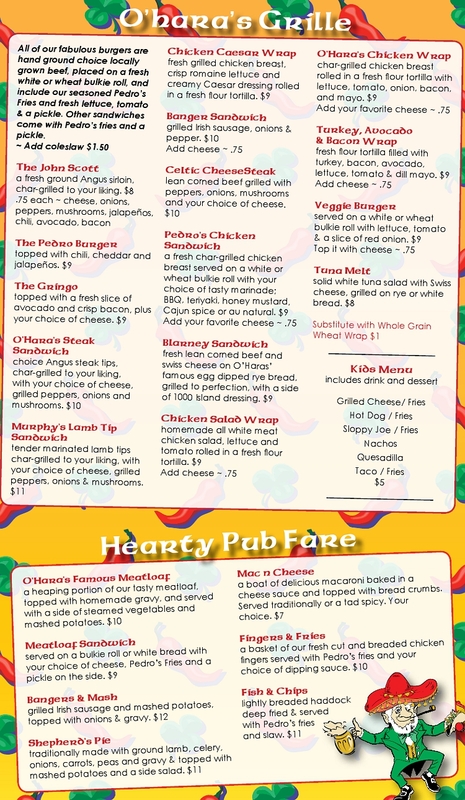 Try the Chimichangas, Bangers and h, Burgers, or the O’Hara’s Steak Tip Sandwich, if you’re not sure what to try. Belly up the the bar for your favorite drinks including Guinness, Corona, Dos Equis and as well a full bar. 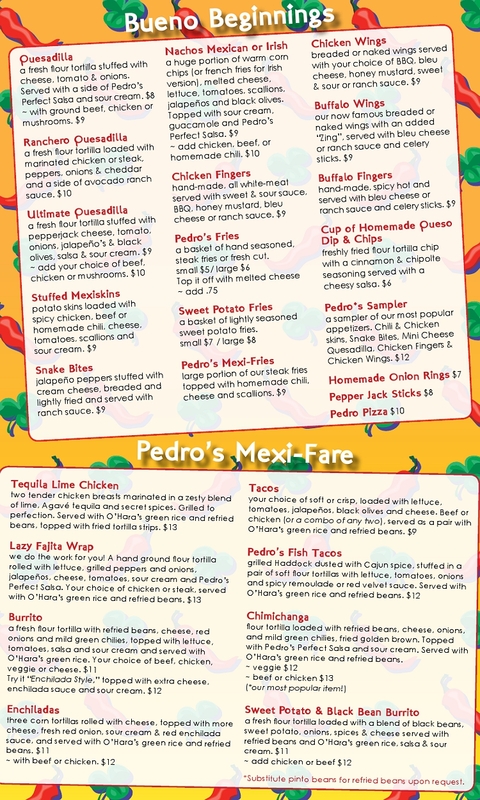 Catch your favorite sports team on one of our TV’s and don’t forget to plan to be at Pedro’s Every St. Patrick’s Day and Cinco de Mayo!